No doubt Dotcoms claim of $6m will cause plenty of whinging… Good!!!! 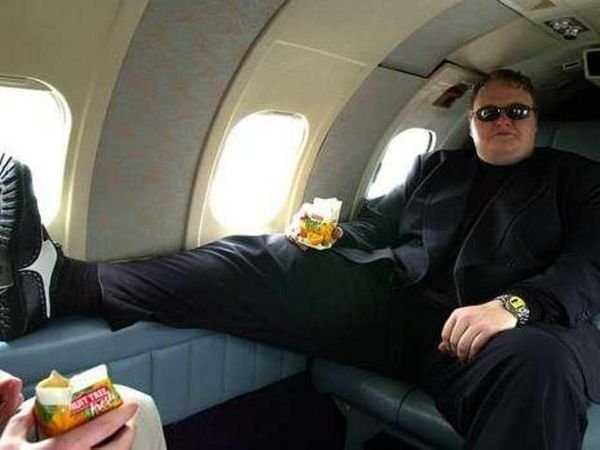 I think it’s Nobel of Dotcom to pledge any $$$ he receives to Charity (less expenses) from his Law suit against the criminal activities of the GCSB, The Police, and PM John Key… yet even if he pocketed it all…. I would still Salute him for the righteousness of his claims…even though as a taxpayer… I am footing the bill… not John Key. I say this because such gross abuses of power… against any Human being…. whether Citizen, Resident, or visitor… cannot justly be without recompense, and so by hitting JK… and his Goons… and his Tax slaves hard… Dotcom serves up a reality pill which… unless the sheep are too dopey to apprehend…. ought to send shock waves through the corridors of power! The hurting Sheeple… The Tax slaves who must foot the bill…. ought to be pissed enough about it…. not at the victim… Dotcom…. but at the Corrupt Bastards in power who perpetrated this crime against Dotcom to square a secret deal John Key had made with Hollywood for the sake of getting the Hobbit filmed in New Zealand. John Key must be forced to resign. It was his office which authorised this Politically motivated crime! If New Zealanders fail to rise up …. they will feul the Arseholes into thinking they can do whatever they like…. without fear of consequences from the Sheeple. Now I am not saying that Punishing John Key and National means voting for that other bunch of a complete Dooshbags… Labour…Greens… Maori…. etc!!! It’s time for New Zealanders to vote for a new party of principle…. one that respects Equality, Liberty, and Justice. >>>>Dotcom set to claim $6m<<<< Read more... >>>>The GCSB BILL… Arabs (and Maori Radicals) with knives at the foot of the bed! What’s Dotcom going to think when he reads this? The same thing he always thinks.